10 bedroom Georgian Boutique, privately owned hotel, in the most beautiful location of the borderlands between England and Wales. 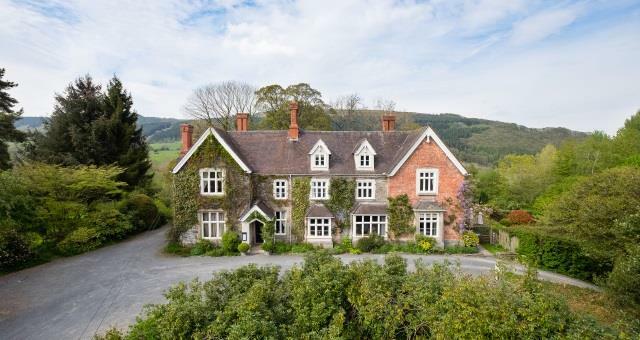 Very convenient for nearby market town of Ludlow (25 mins away) and for hiking the famous Offas Dyke. Kitchen run by Chef of the Year finalist 2018, using only locally sourced ingredients, including those from the kitchen garden and Welsh cuts of meat. Carnivore and Herbivore Tasting Menus available three days a week for the more adventurous foodie. Accessible gardens which run down to the River Teme for the most beautiful country walks by the river. Bikes available at the hotel to borrow, for local rides around the countryside. Log fires in all communal rooms for cosy drinks and meals. Friendly restaurant and bar available for lunch and dinner, seven days a week. Two chefs on site including Chef of the Year finalist, 2018. Incredible Tasting Menus available from Thursday to Saturday nights. Children welcome from age 4. On the Ludlow Road, 25 mins from Ludlow.